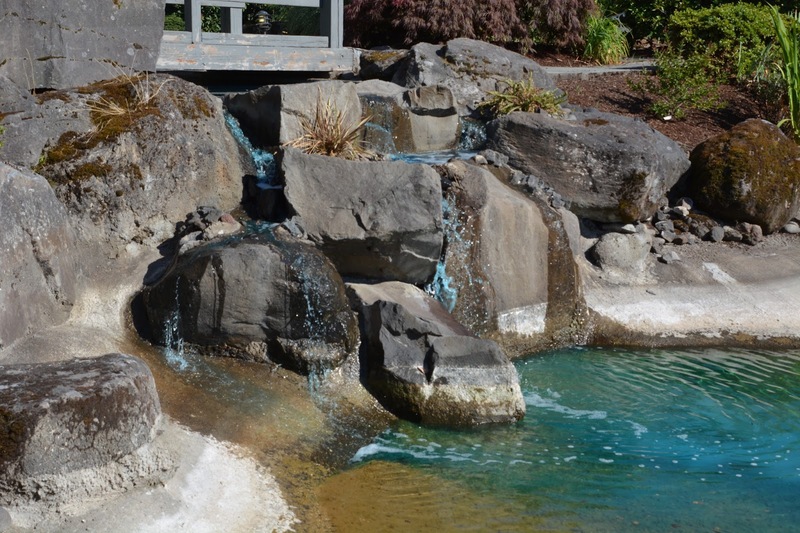 After the upper ponds were drained an resealed, an copper algicide was added to the water as they were being refilled. 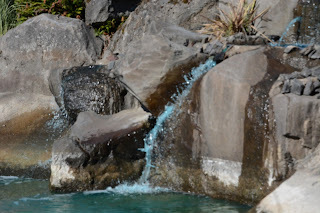 In addition to this colorless chemical, a concentrated blue dye was also added. 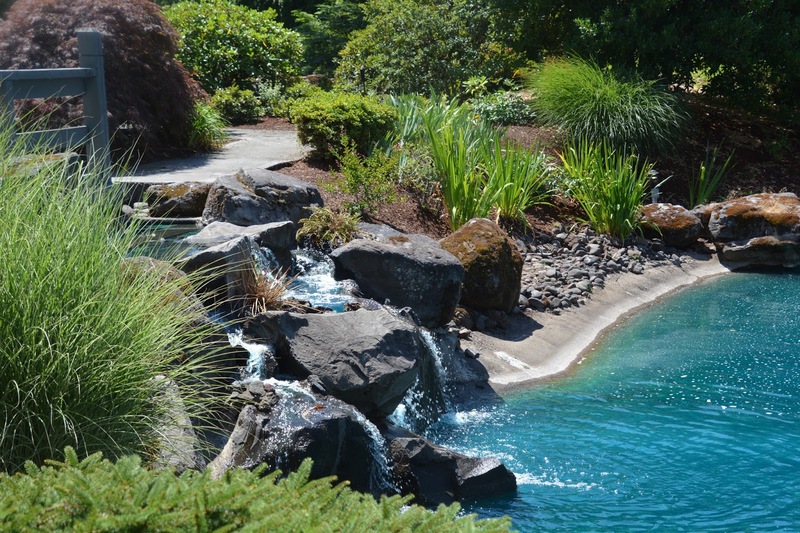 Just one cup was all it took to created this tropical lagoon. 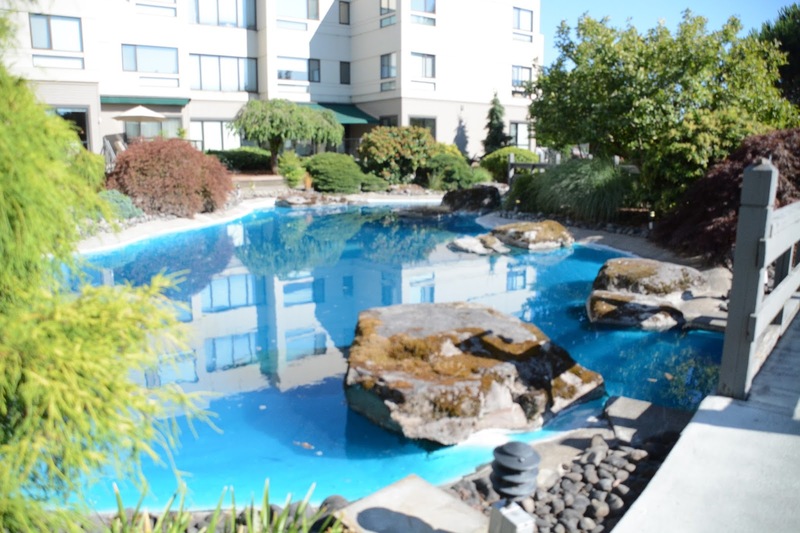 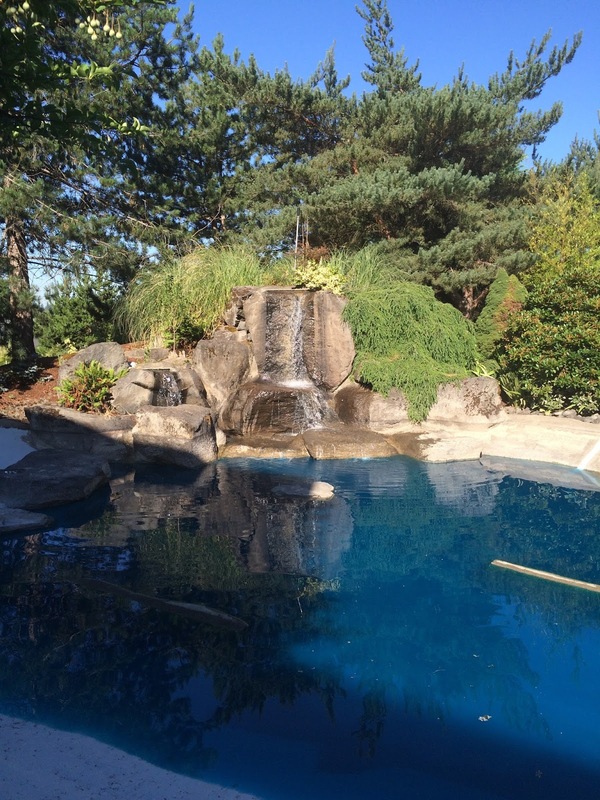 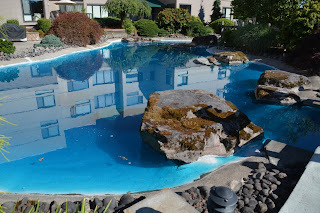 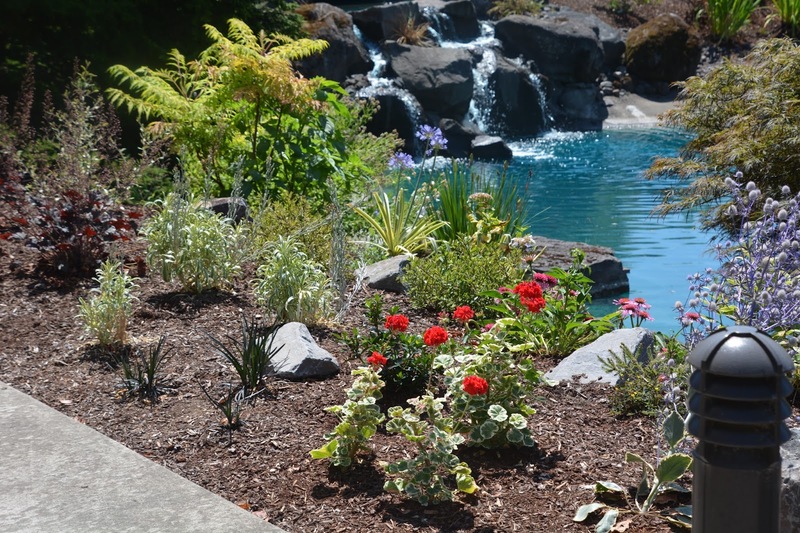 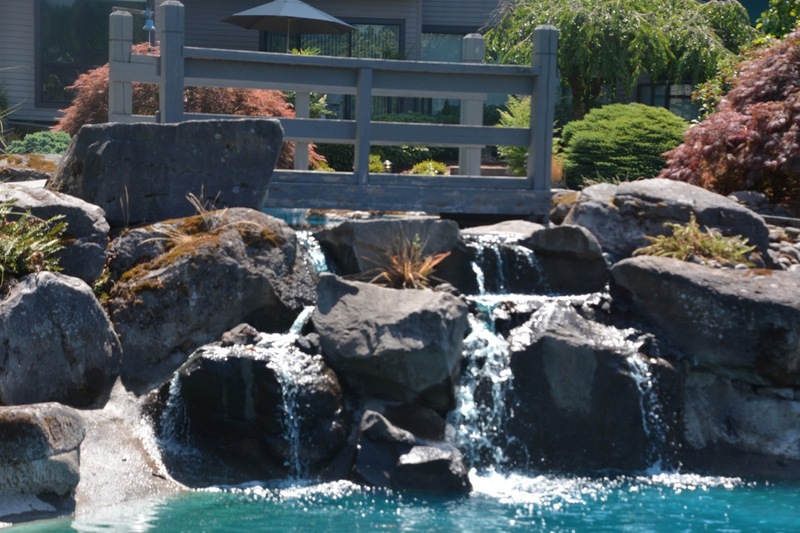 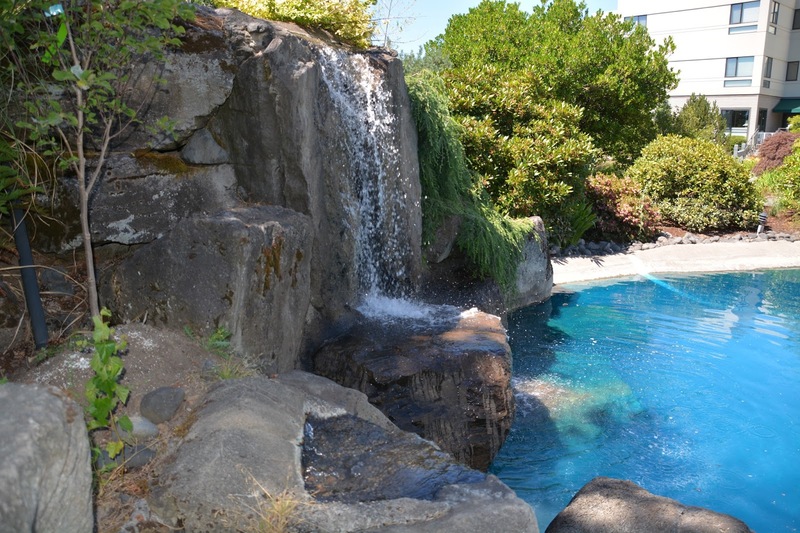 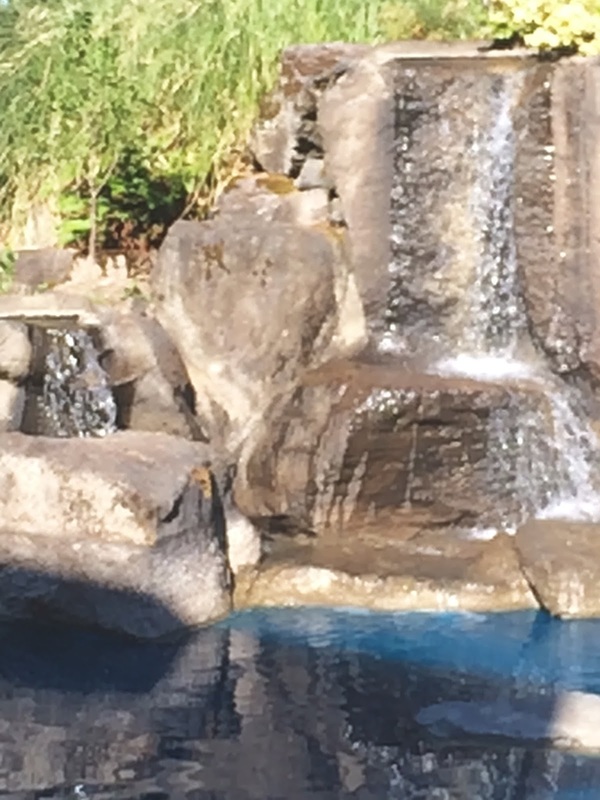 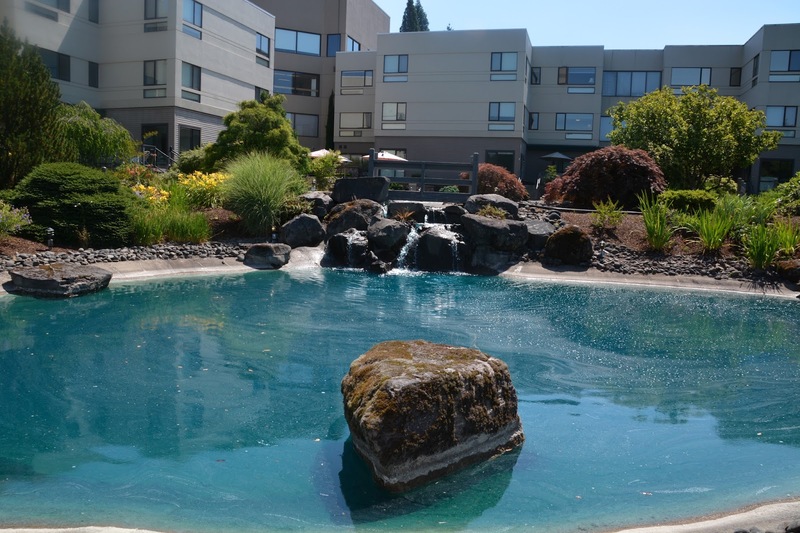 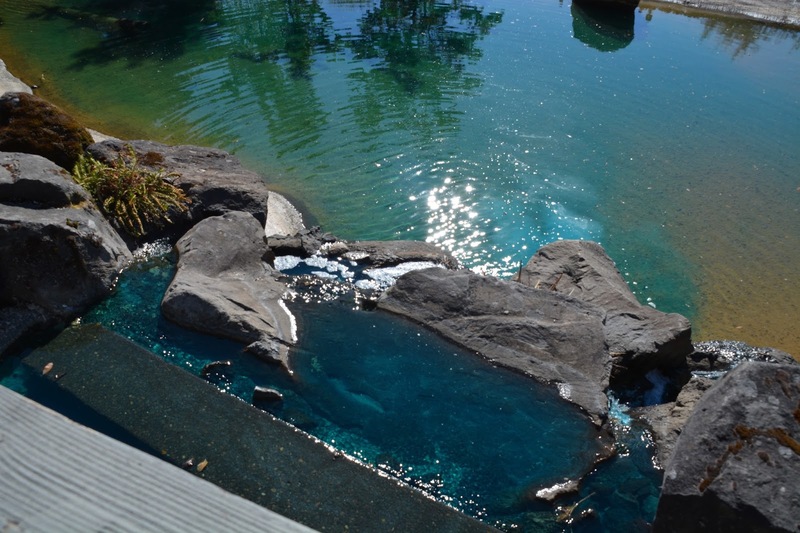 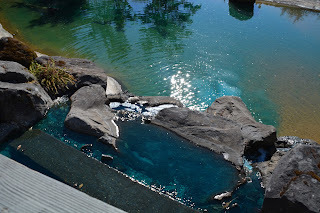 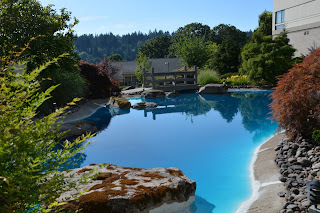 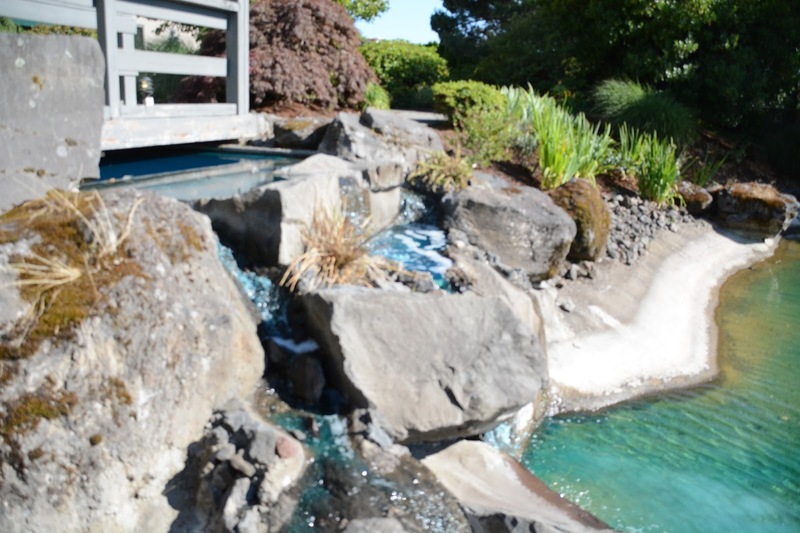 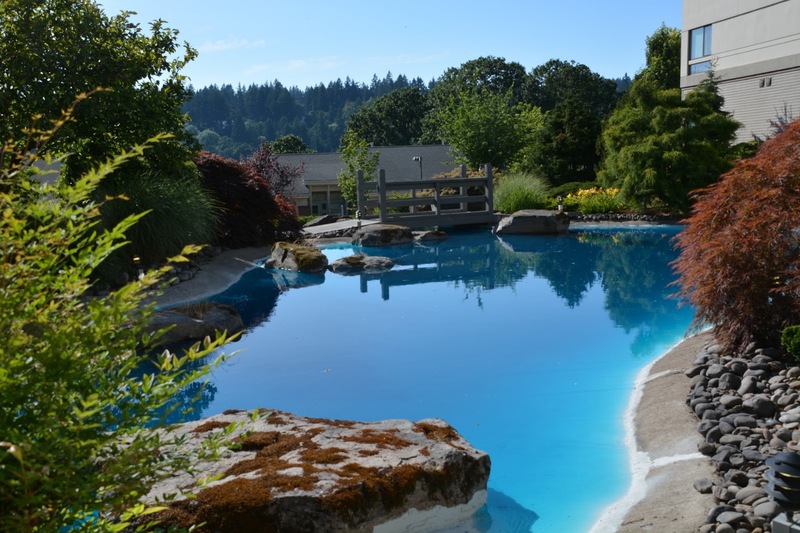 The dye keeps some sunlight, which promotes algae growth, from hitting the bottom of the pool. 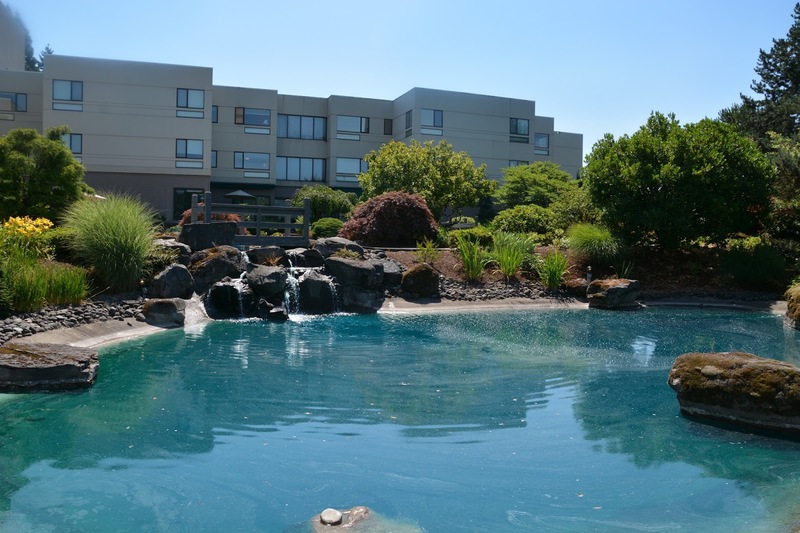 Residents of Willamette View who don't want to brave the 95-100º heat can see the from the common rooms of the Terrace, or just click on the photos below to enlarge them. This morning I took photos along the way starting when I left my patio. 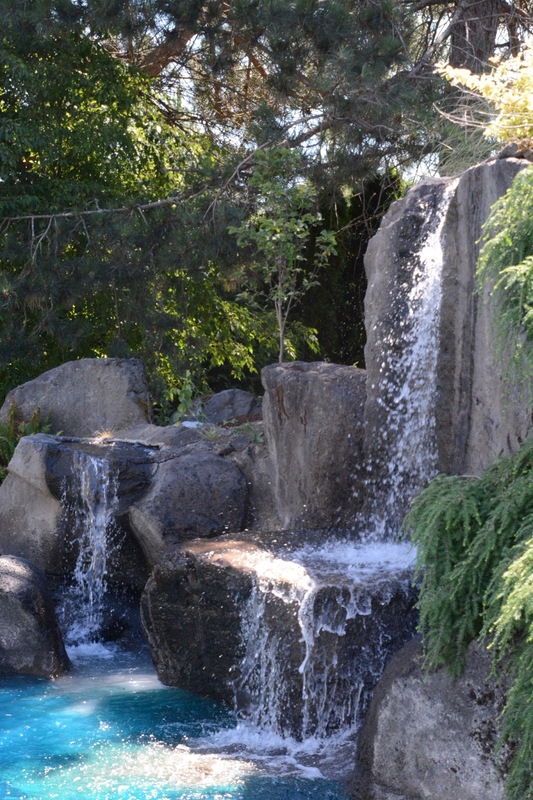 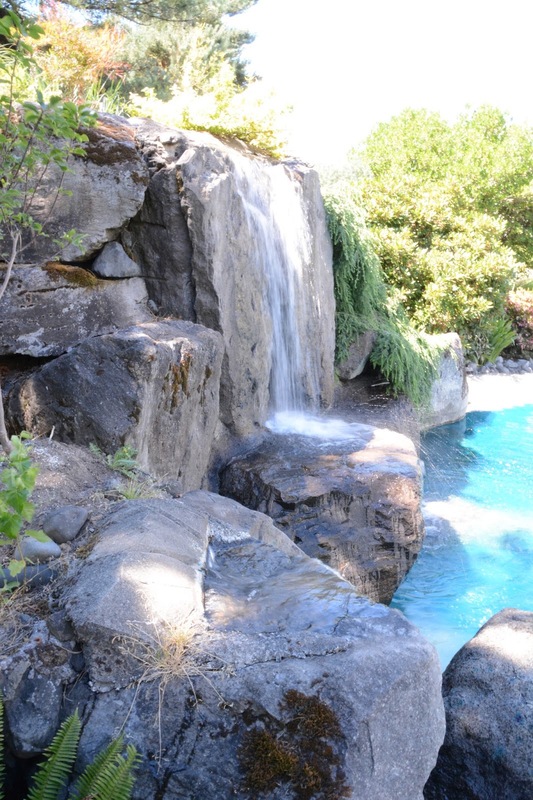 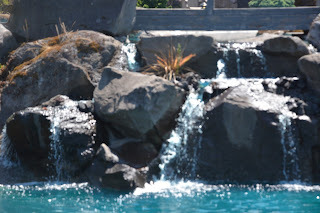 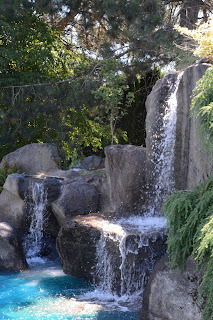 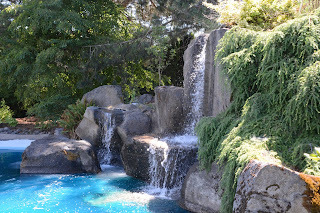 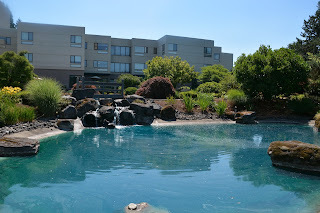 Waterfalls is my usual morning haunt where I talk to staff and friends and work on my blog. More - including our marauding deer.